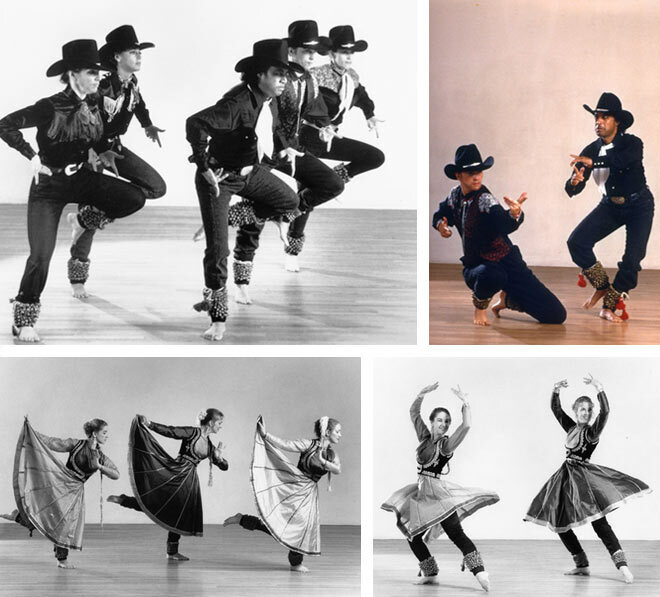 1990: The Company performs the historic Gold Rush production. 1991: Gretchen Hayden and George Ruckert spend six months in Switzerland, teaching and performing. 1992: Gretchen Hayden and George Ruckert move to the Boston area. George becomes a Lecturer in the Department of Music and Theater Arts at the Massachusetts Institute of Technology (MIT). Gretchenji begins to teach in Greater Boston. 1993: Gretchen Hayden, in collaboration with George Ruckert, creates a ghat bhav based on the story of St. Lucy. This is one of the early instances of a Western story performed in full kathak ghat bhav (storytelling) style, incorporating the traditional nine sentiments (navarasas) of Indian classical dance. George Ruckert composes the music, based on Gregorian chants for St. Lucy’s feast. 1990s: Multiple performances and residencies by Pandit Das in the Boston area, including at MIT and Tufts University. 1995: Gretchen Hayden and other senior dancers tour India with Pandit Das.